Jeffrey Wood has been running the Justice Department's environmental practice for nearly two years but never moved into the big office reserved for its leader. Named acting assistant attorney general in January 2017, Wood's job was to keep the Environment and Natural Resources Division on track while awaiting the confirmation of Jeffrey Bossert Clark, President Trump's long-term pick to lead the division. He never expected the post to last 21 months, the longest tenure for a temporary leader in ENRD's history. "I thought this was going to be, as acting AAG, probably a four- to six-month assignment," Wood, 39, said during an interview last week in his office, which adjoins the vacant one saved for Clark. "Yeah, I never moved in there," he added, referring to Clark's future digs. "Maybe superstition, or respect for the office." The Senate finally confirmed Clark to lead ENRD three weeks ago, and Wood will hand over the keys to the division tomorrow, along with his nearly two-year legacy of working with DOJ career staff and leaders at other agencies to carry out the Trump administration's environmental priorities. "It's really remarkable how long he's been there," said former ENRD attorney Tom Lorenzen, now at Crowell & Moring LLP. "I think he came in with the anticipation that it would be a very short-time assignment, and he's had to grow into a job that he didn't think he'd have." DOJ insiders describe Wood as an effective leader who is well-liked in agency circles. Critics of the administration see him as another foot soldier for Trump. As a former private practice attorney and Senate staffer for now-Attorney General Jeff Sessions, Wood faced a steep learning curve when he started as the temporary leader of the division. ENRD, with more than 600 attorneys and staff, is responsible for representing federal agencies in litigation over environmental policy, natural resources, public lands, American Indian tribes and more. It serves as the lead prosecutor of environmental crimes and the lead defender of the Trump administration's aggressive push to roll back regulations. "You learn a lot, fast," Wood said. "We have so many cases. Of course you benefit from the great experience of all the career lawyers who are here — true professionals, up and down the line. And so a lot of it is just getting up to speed and managing the division the best way you can, and you can't do that alone." 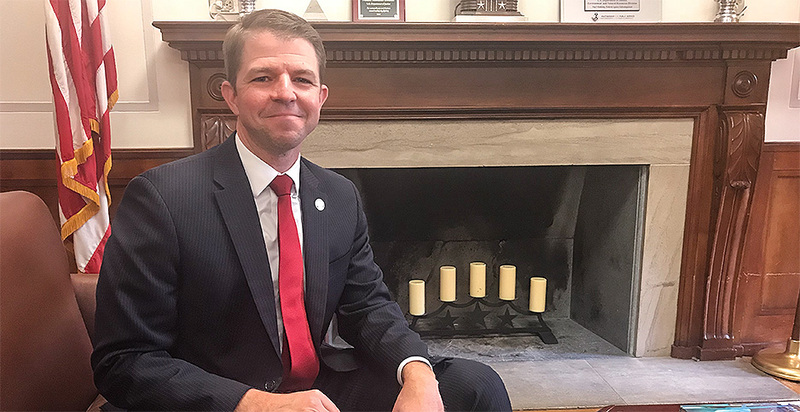 Wood counts ENRD's "back to basics" environmental enforcement approach as a point of pride from his tenure, along with the agency's defense of the administration's deregulatory agenda. The division has raked in civil penalties for environmental violations and injunctive relief for Superfund cleanups over the past two years (E&E News PM, Oct. 19). But it hasn't all gone smoothly. Environmental rollbacks have faced several high-profile losses in the courtroom. Judges on several occasions have found EPA, the Interior Department and other agencies rushed to sideline rules or delay compliance requirements, violating the Administrative Procedure Act or environmental laws along the way. Wood attributed many of those setbacks to unfavorable court venues; environmentalists routinely file suit in California federal courts, for example, which are considered more skeptical of the Trump administration's policies. But he acknowledged that agencies sometimes needed direction on how to develop clear records to explain their decisionmaking process and justify their choices. "Sometimes the agencies get criticized based on the record they've developed, so we've been trying to work with our client agencies to help them improve their records because that's ultimately what matters," Wood said. "Do they have the record to justify the decision they've made?" Wood issued guidance to federal agencies last year to improve their development of administrative records. "Jeff, I think, refocused EPA on what really has to be the ultimate mission of EPA, which is to engage in substantive rulemaking and not continue to try those sorts of tactics," Lorenzen said, adding later: "With some ammunition under their belts — the first few court opinions — it became easier for ENRD to say to EPA, 'Think about other ways to do this.'" Holland & Hart LLP attorney Kelly Johnson, a high-ranking ENRD official during the George W. Bush administration, called Wood a "good influence" on the other agencies. As for the early legal defeats? "They probably did not avail themselves of the expertise," she said. Two years in, the Trump administration has now largely moved beyond the procedural rulemaking issues that dominated early litigation and into the substantive work of rewriting rules. "I think that's going to be Jeff Clark's most significant opportunity going forward will be that next phase of defending the decisions that are being made by the agencies," Wood said. Another high-profile issue dominating much of Wood's time is the "kids climate case," in which a group of young people is accusing the government of violating their right to a safe climate. DOJ has persistently worked to shut down the case, under both the Obama and Trump administrations. The agency's latest bid to stall a trial scheduled to start this week yielded a temporary stay of proceedings. A broader decision is still pending at the Supreme Court. "Frankly, it's been a tremendous drain on our resources to have to engage in this level of litigation on this case for so long, and it's also been a significant burden on the agencies who have had to respond and be involved in the case," he said. The government has argued that the case, Juliana v. United States, violates the separation of powers set out in the Constitution by asking the judiciary to legislate climate policy for the nation. The government's response to climate change is a conversation happening where it belongs: in Congress and the executive branch, not the courts, Wood said. Novel interpretations of the Constitution's protections belong in law review articles and academia, he added. "We think it's been going on for too long, and we are now awaiting the Supreme Court's decision on what happens next," he said. Thoughtful leader or complicit partisan? Wood is leading the division at a time of contraction for DOJ and the federal government. "We've had a decline in the number of workers, lawyers and staff," he said. "But we've seen an increase in the number of cases, so we've had to be more cost-effective and efficient in our work, and I'm proud of the way we've managed through that process." Wood recalled that he's made decisions that were popular with the staff and others that were "less so." He declined to go into detail on those. But critics of the administration are happy to fill in the details. They're frustrated with many of ENRD's moves under Wood's leadership: settlements they consider too soft on polluters; DOJ's insistence that a federal appellate court keep litigation over the Obama-era Clean Power Plan on ice; an industry-friendly enforcement policy for the Migratory Bird Treaty Act; and other issues. ENRD attorneys have generally remained professionals under Wood's leadership, but many big-picture issues have become overtly political, said Pat Gallagher, director of the Sierra Club's Environmental Law Program. "Where you see pretty partisan behavior is on important policy issues or high-profile or large-scale settlements or decisions whether to prosecute in the first place — those kinds of more policy-laden decisions," Gallagher said. "I'm sorry, but Jeff Wood is complicit with Donald Trump," Gallagher said. "Their agenda is anti-climate, pro-oil and gas to the hilt." Wood maintains a strong relationship with ENRD's career staff. "He's really a very thoughtful and professional and nice guy," said Jean Williams, a career deputy assistant attorney general for ENRD. "It's been an interesting couple of years, and it's certainly been helpful to have someone as solid and unflappable and professional as he is." Williams, who's been with the division 34 years, said Wood is deferential to her and other high-ranking career officials. "I'm sure everybody has their own views about a lot of the issues that are at the forefront of our politics, but when it comes to running the division, he's just running the division," she said. "He's doing what's appropriate under the law and what we recommend to him 98 percent of the time." Johnson said she's heard positive reviews of Wood's engagement with the career staff too, an effort that pays off when political appointees work to implement the White House's agenda. "That's not the way it was in every agency, and I think Jeff did a really good job at that," she said. He's also earned high praise from other top appointees within DOJ, including Sessions and the agency's third-highest-ranking official, Jesse Panuccio, who at an event last week celebrated Wood as "a first-rate lawyer, an expert in environmental law, and a leader of the highest caliber." Clark is set to be sworn in as assistant attorney general in charge of ENRD tomorrow. Wood will stay on as principal deputy assistant attorney general for the division. He said he's eager to focus more closely on legal issues and shed his big management responsibilities. Next week, Wood will flex his litigation muscle in Alaska, arguing the government's case in high-profile litigation over whether the Trump administration violated the law when it opened up Alaska's Beaufort and Chukchi seas and canyon areas in the Atlantic Ocean to oil and gas exploration. "I think it's a good opportunity to sort of get engaged in the field work," Wood said, "so I'll be doing that and hopefully be able to do more of that."